For those who ever wondered what happened to John Smith after Pocahontas, this is the book for you. 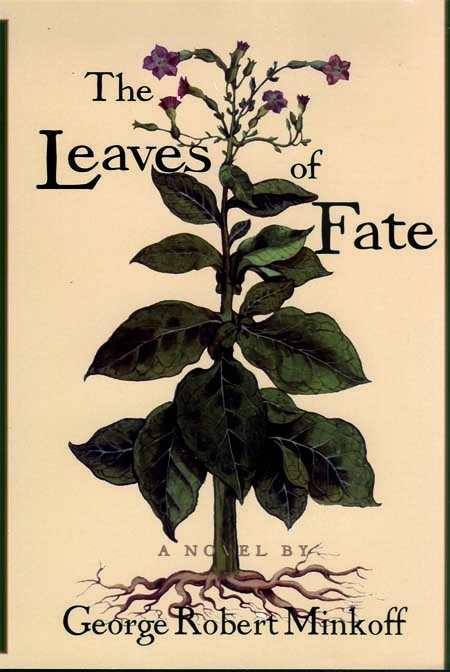 The Leaves of Fate is the third volume in the epic trilogy In the Land of Whispers, set 400 years ago in the American wilderness of the colony at Jamestown. The first book had to do with Smith’s initiation into the New World; the second, his trial and expulsion; this final volume is the story of his exile. Poor John Smith: by 1616, the Virginia Company hates him, he is powerless, with few friends—and all but dead to Pocahontas. She has thrown him over for another British colonist after Smith is sent on a fruitless trip to find the Northwest Passage and forced to return to England. There, in bitter exile, he becomes the best-selling author of his time. Told through a secret diary and letters from the colonies, The Leaves of Fate bears witness to Virginia’s slide toward becoming a slave economy built upon the cultivation of tobacco. There’s more profit in the “weed,” and avarice hangs upon its leaf. Smith wants no part of this. He has in mind a colony in “New England” but is unable to find a backer for an expedition. How annoying, then, when the King creates the Massachusetts Bay Colony in 1629, and “not an inch of land given to [him] as some reward” for holding the Jamestown settlement together for the crown.